Millions of people know and love the story of E.T.-the little visitor from the stars. Earth is interesting for E.T. but he wants to go home. Can his new Earth friend. Elliott. help him? This is the famous story of one of the world's favorite movies. 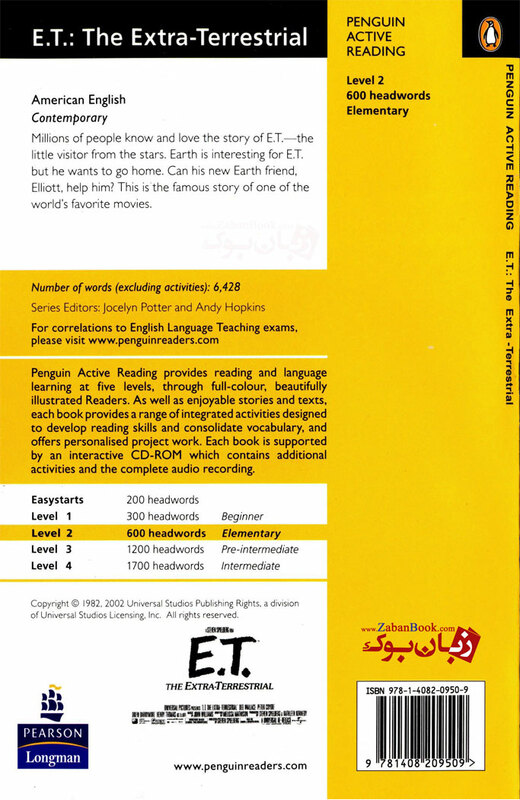 اولین نفری باشید که در مورد کتاب داستان E.T The Extra-Terrestrial - Penguin - Level 2 نظر می دهد.